By now you've probably heard that Pantone's color for 2012 is Tangerine Tango and I could not be more thrilled. It's such a happy color. 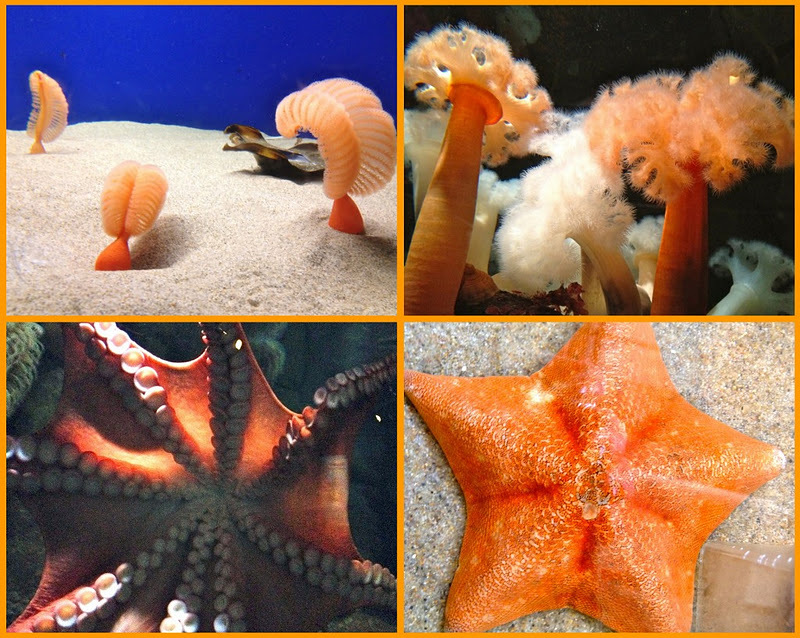 Well, as you can see, even the sea creatures are in style and are also such an inspiration for fashion and how to pair colors. 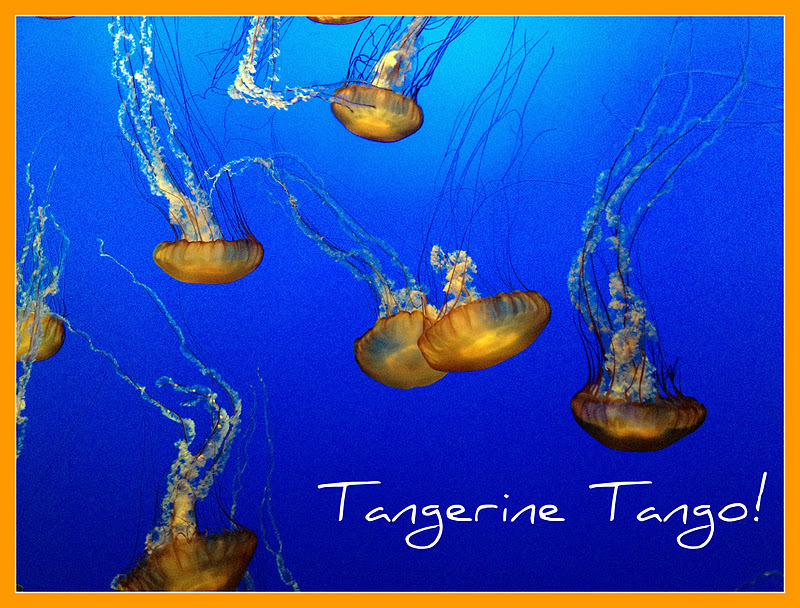 I recently enjoyed a Saturday morning trip to the Monterey Bay Aquarium and ran into these creatures doing a little tangerien tango of their own. I have always fancied orange as seen here, here and here. So I think I will have a great time including it into my winter and spring wardrobe. Heck! I think I could wear it all year. How about you? What color are you fancying lately? Orange is lovely! I enjoy these muted tone better! I hadn't heard. I've always loved orange! Good!!! tangerine is yummy (no pun intended)! it's especially nice against its complement, blue. I got it in the mail today and it's fabulous. Even better than the pictures. I love that it has a drawstring waste. I will do a post with it real soon.